Caucasian dances are extremely temperamental; the passion is transmitted by waves to spectators and to dancers. Armenian national dances are truly temperamental, the dances highlight the indestructible spirit of Armenians. The history of Armenian dances is as old, as Armenia and no less interesting. Today we will try to tell the history of Armenian dances in short. In pagan Armenia dances were of particular importance. With the help of the dance, the story was told and the ritual were held. Since then no Armenian holiday was organized without folk dances. This is a kind of ritual for raising the spirit and uniting the people. In pagan Armenia and even in medieval Armenia, legends were told with the help of dances. In addition to the dancers, bears, monkeys, artists and gusans (musicians) took part in the performance. One of the peculiarities of the Armenian dance is that each region has its own special dance and costumes. With the help of dance, people showed their customs, traditions and culture. Studying this or that Armenian province, it is necessary to study national dances as an integral part of the people and particular region. 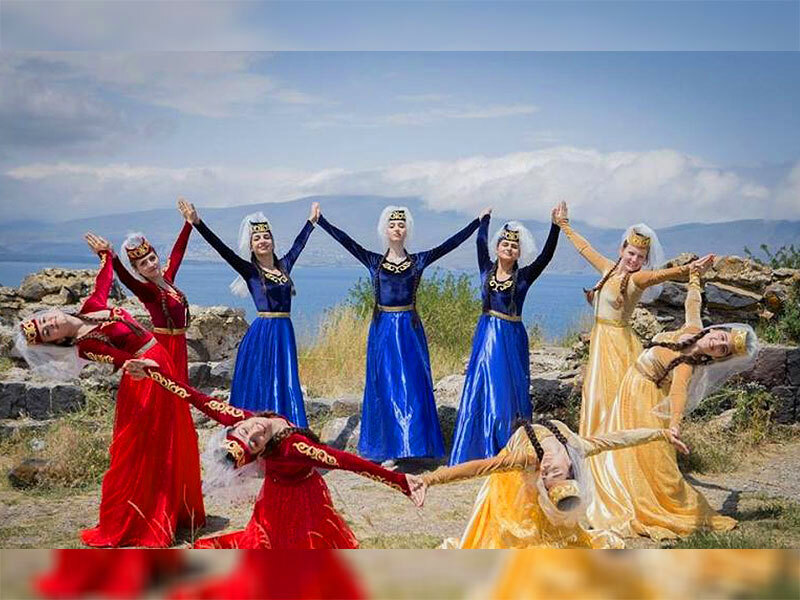 “Berd” national dance is the most warlike and the most impressive one. Only men take part in a dance; they build a living wall during the dance. They do not use stones, but simply line up on each other’s shoulders while dancing. Then one by one the dancers jump off the shoulders, continuing the warlike dance. “Berd” is a story telling about the heroic battles and victories of the Armenian people. This is another popular traditional dance, in which only men participate. It is performed with swords, sabers or sharpened sticks. Dance with sabers is a perfect example of how the warriors fought and how heroically they won. 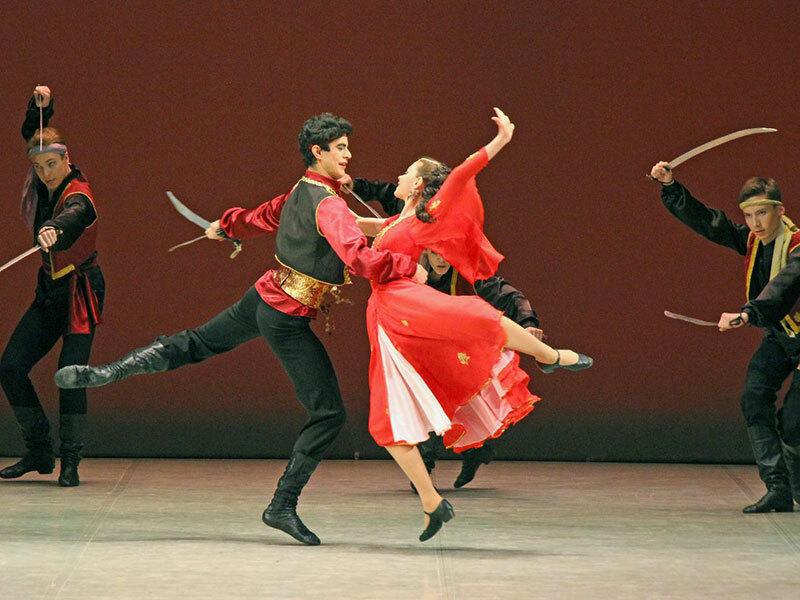 Dance with swords was performed before the battle to give the spirit and courage to the soldiers. 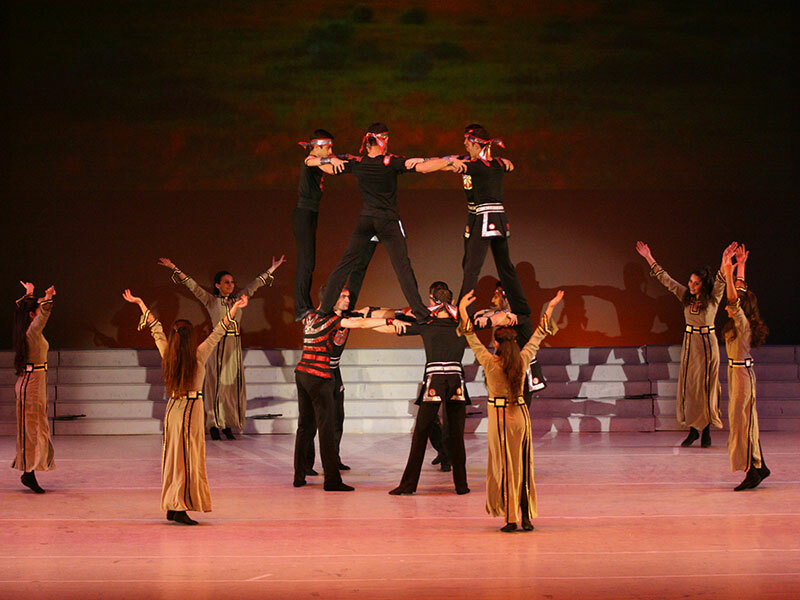 Qochari is the most popular and for sure the most important Armenian national dance. 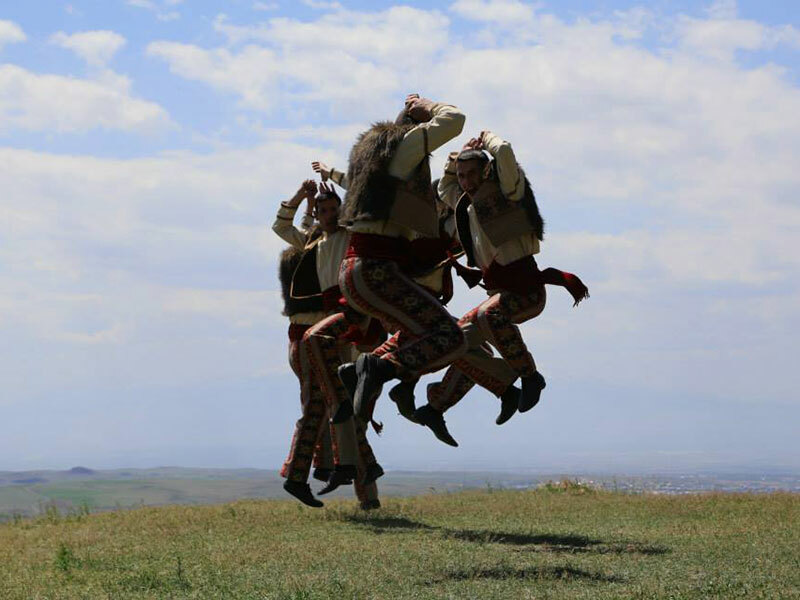 Initially, Armenians used to dance qochari before the battle to warm up the soldiers, and give a spirit. Today, people dance qochari on all holidays and parties creating a long chain of dancers that synchronously repeat the steps. 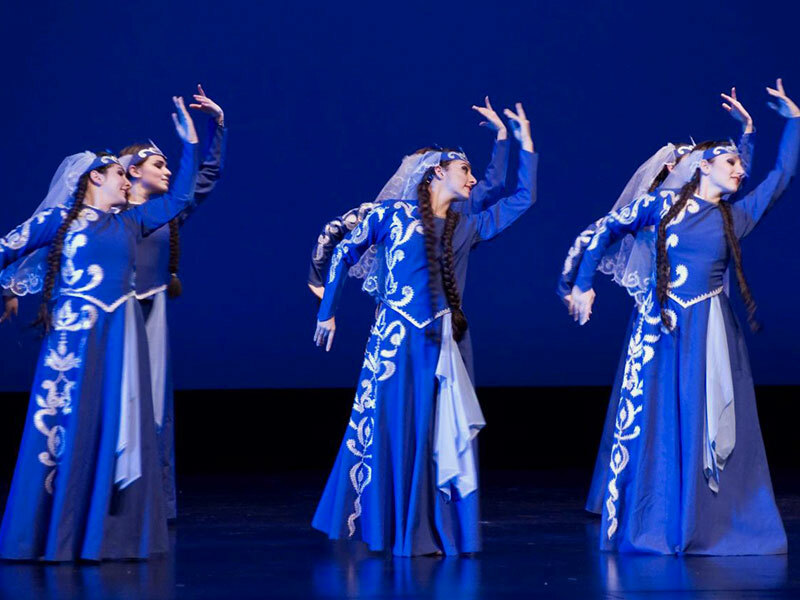 The dance of Yarkhushta reveals the whole temperament of the Armenian people. Yarkhusht dance goes back to pagan Armenia. The dance is accompanied by a drum. Two people take part in the dance, they greet each other with bellicose shouts and begin “fighting”. Uzundara is a dance that reveals all the femininity of an Armenian woman. A female solo dance originates from Artsakh and it was a traditional dance of the bride. With this dance, the bride said goodbye to her parents’ house and prepared for a new life. Uzundara is a slow dance in which all the grace and femininity of a girl is revealed. If you want to get acquainted with the Armenian national dances, we advise you to take part in folk festivals and celebrations. All the Armenian parties are accompanied with traditional dances and both adults and children take part in it. Guests like to gather in a circle and dance qochari. Dance is a unique language that brings people together. 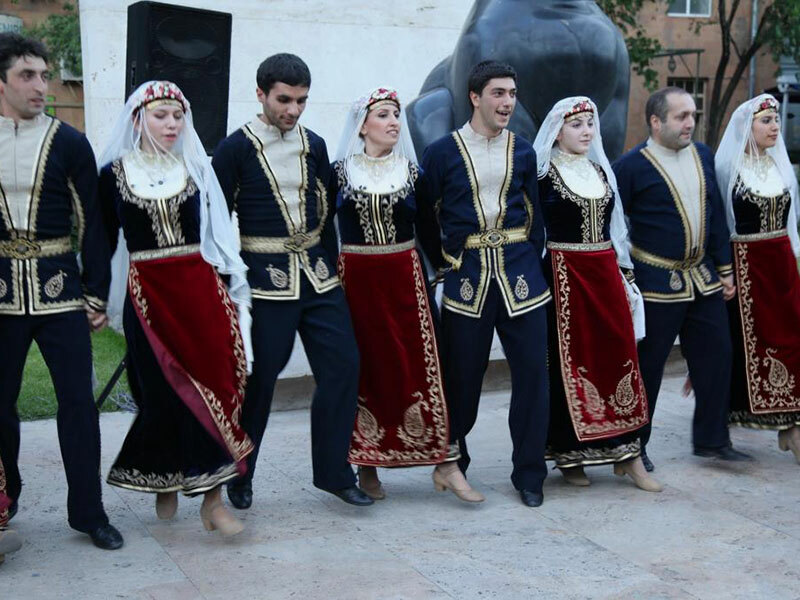 You can watch traditional Armenian dances not only on holidays, but also walking in the city center. Time and again young dancers gather and arrange a short dance show for tourists in the city center.